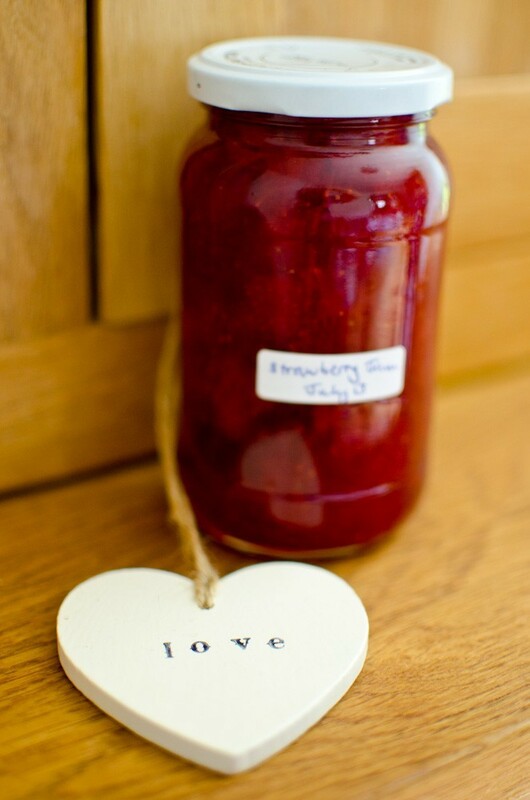 Jam, jam, jam, lovely jam! Last weekend I managed to squeeze in some jam making before the strawberries disappear. I was considering going to PYO until I saw it was way more expensive than paying an Eastern European immigrant to pick them and stack them on the selves of the local supermarket! But the raspberries are expensive so I might pick them. 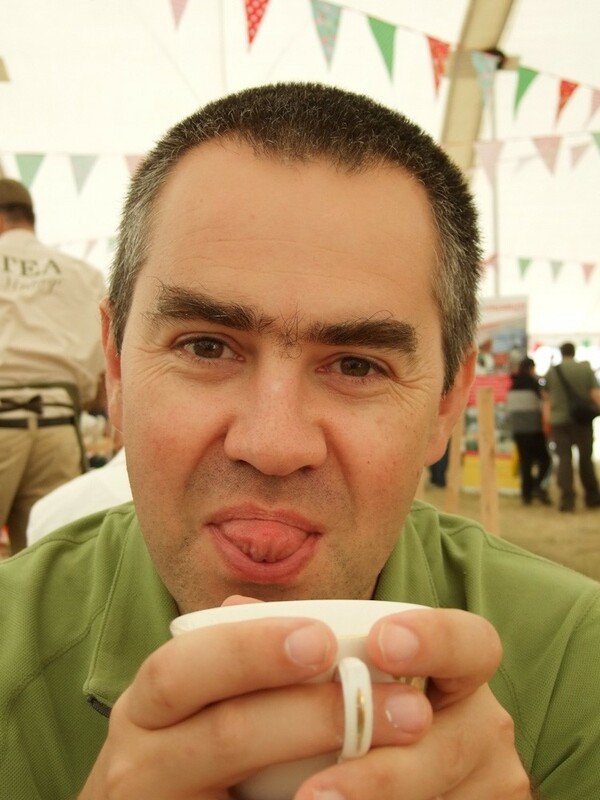 And a picture of Jim when we went to RIAT (http://www.airtattoo.com/airshow) on Sunday to see the Vulcan (http://www.vulcantothesky.org/). 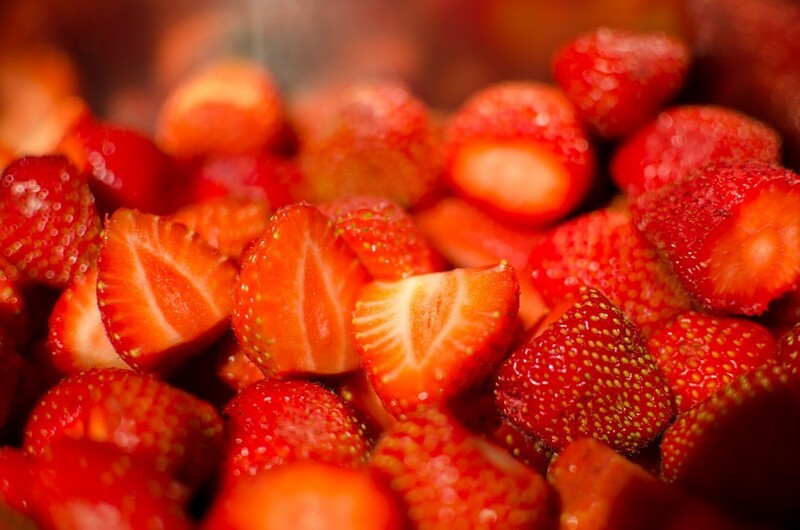 Hull the strawberries and set aside 10-20 of the smallest berries. 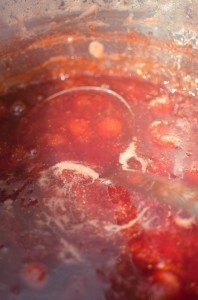 Put in a jam pan, add the warmed sugar and lemon juice and bring to the boil; stir, stir, stir. Before it comes to a full rolling boil decide how chunky you want the jam – at this stage I usually use a potato masher and mash until rough mush. Add the retained berries and bring to a rolling boil (i.e. a boil that is not stopped by stirring). Boil on a rolling boil for 5 minutes then check the set (make sure you have taken it off the set while you check). Recipes vary as to how long this will take but I usually find 5-10minutes is all that is needed. Strawberry jam doesn’t set very solid. Take off the heat and skim off the scum – this is cooks perks! Leave to cool for 15 minutes or so then give a good stir to redistribute the chunks and pot up. I’ve just found out that for WI standards (i.e. the local show) the jam must be within 3mm of the top of the jar. No mention of a waxed disc so I didn’t bother this time.